I'd like to let you know that *** and I are now officially a couple. I am still in China. 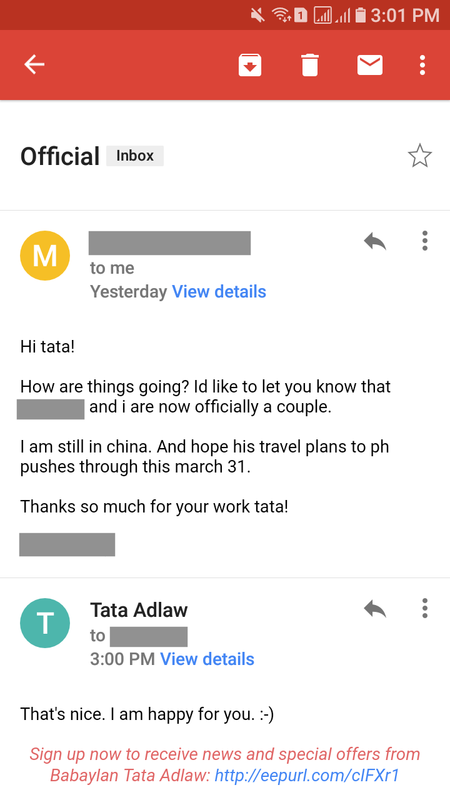 And hope his travel plans to PH pushes through this March 31. Thanks so much for your work Tata!